Every day, tens of thousands of people ride public transportation in the greater Boston area. While it is generally safe to ride on the T, accidents do happen, and sometimes they are the fault of the driver or Massachusetts Bay Transportation Authority (MBTA). If an accident occurs and results in a personal injury, and that accident was the fault of a bus operator, you may have valid case for a full an appropriate financial recovery. Of course the MBTA is not the only major transit system in the country. 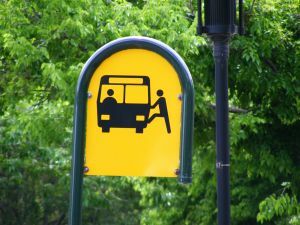 In New York City, there is the Metropolitan Transit Authority (MTA), and according to a recent news feature from the New York Post, a man was just awarded $12.5 million in connection with a bus accident lawsuit. In that case, a man from Long Island was in his van when it was hit by a city bus and caused him to suffer a serious personal injury. That accident occurred in 2009. The facts of this accident are rather strange, in that it was allegedly a traffic enforcement officer who ordered plaintiff to pull out of the intersection he was blocking and pull into a bus stop so traffic could get by. At this point, an MTA bus approached the stop and did not stop in time to avoid crashing into plaintiff’s van. When the bus crashed into his van, he suffered severe injury his back and neck, which required him to have surgery. He is also permanently disabled and unable to go back to work. While many may be wondering why a verdict was so high, many do not take into account what types of damages are typically available in serious personal injury cases. First, if a person is unable to go back to work, he or she will lose a lifetime of wages, and that can be calculated and included in a lost wages claim. It is not only the current wage, but as your Boston personal injury attorney can assist you with, it may also include future promotions and pay increases that you are likely to have received if you would have been able to go back to work. It should be noted that if you are self-employed, it may be more difficult to calculate lost wages, but your attorney can use various experts, including an employment specialist and accountant, to prove what you have made, had your business continued to operate and grow over time. It should also be noted that the MTA has said it will review the verdict and decide what they are going to do in terms of an appeal. When a verdict is this high, there is always a decent chance the losing party will appeal. However, this may or may not mean that judgment will not be paid out during the time of the appeal. In the event of an appeal, there is also the possibility the parties will enter into a post-judgment private settlement agreement that will resolve the case.